Dortmund is a city in Germany located in the state of North Rhine-Westphalia. It is one of the largest cities in the state. 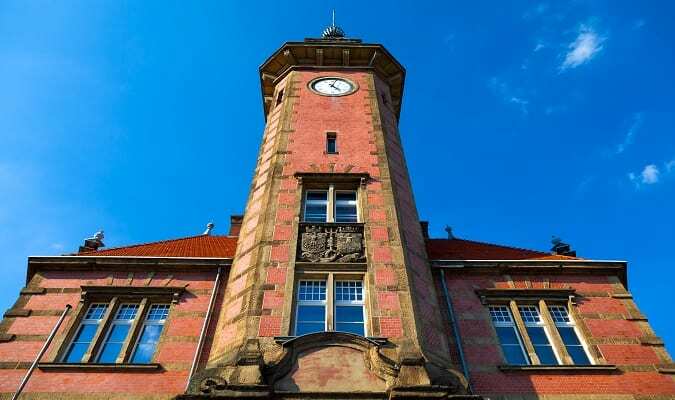 Find information to help you plan a trip to Dortmund: Best Attractions, Best Hotels, Where to shop. The Westfalenpark is a popular green area in Dortmund. 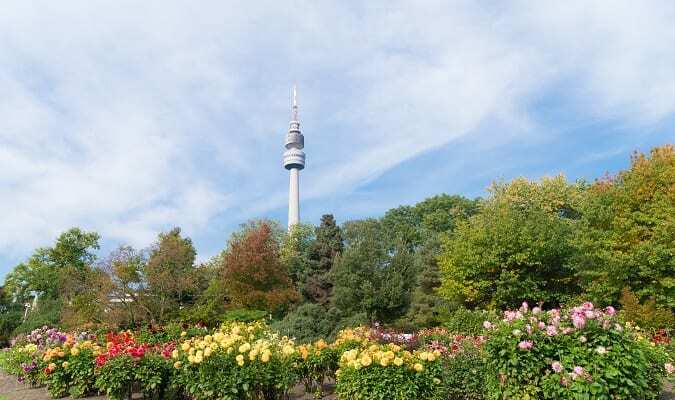 It is home of the Fernsehturm (TV Tower), known by the locals as Florian. 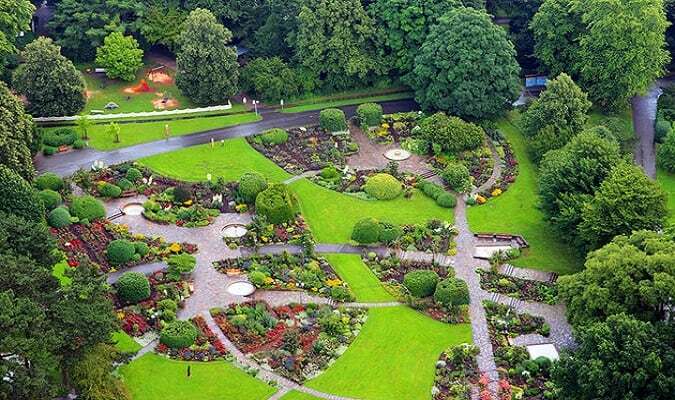 The park is also home of the Deutsches Rosarium, an exhibition with more than 2.600 flowers types. 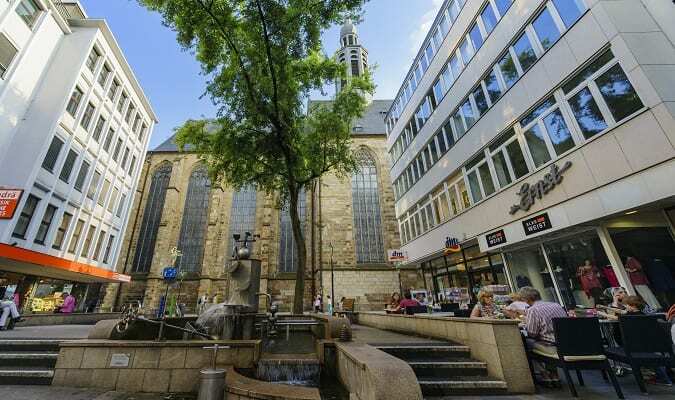 The Reinoldikirche is a church with a tower of 104 meters that dominates the urban landscape of Dortmund. It´s worth visiting the top of the tower for amazing views of the city. The Alter Markt is a pedestrian area with many stores, galleries, cafés and restaurants. 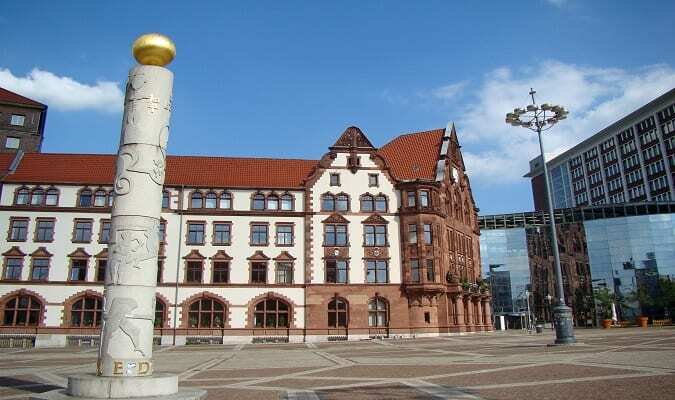 Highlights of the area include the Altes Stadthaus and the City Hall Dortmund. The Zeche Zollern is located in Bövinghausen, a suburb in Dortmund. It was projected in 1898 as a model colliery. It is famous for its impressive architecture, especially the red brick facades of its buildings. The Hohensyburg is an old castle complex. The ruins date back approximately 1100. The Altes Hafenamt is a building that shows the history of the port. The Signal Iduna Park is a football stadium. The stadium is one of the most famous football grounds in Europe and it is Germany‘s largest stadium. The Phoenix See is located 4 km from the center of Dortmund. It is one of the largest urban development projects in the country. The lake was built in the former ThyssenKrupp steel mill area. The Dortmunder U was opened in 2010. This former factory has been transformed into a center for creative and artistic activities. 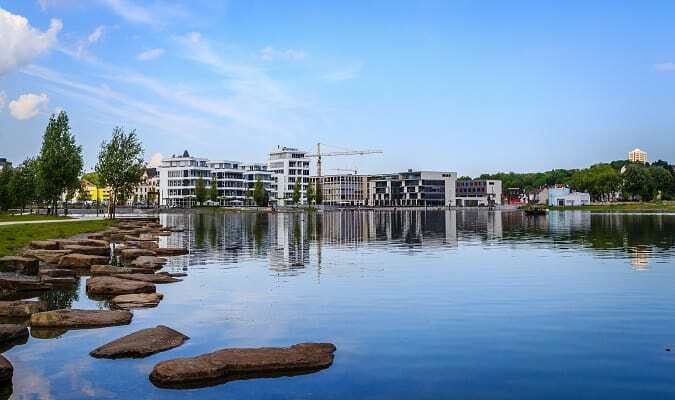 The Radisson Blu Dortmund is close to one of largest urban parks in Europe. The hotel has 190 rooms. Certain accommodations include a sitting area for your convenience. 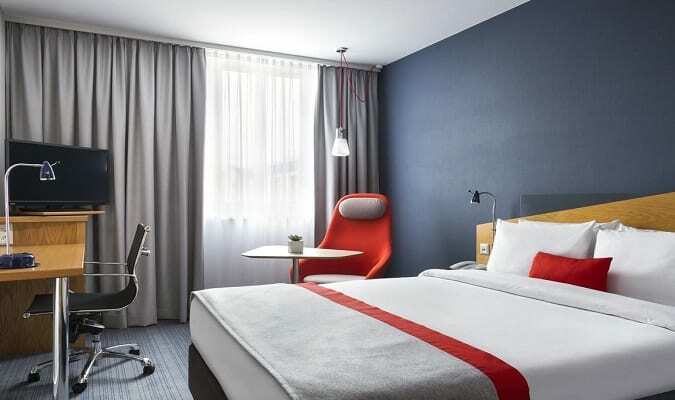 The Mercure Dortmund Centrum is located 130 meters from the Friedenplatz, close to the Stadtgarten Station. The hotel has 125 rooms equipped with a safe, work desk. The Hodiday Inn Dortmund is located 200 meters from the Hauptfriedhof Station and about 6 km from the city center. Rooms are modern and equipped a with flat-screen TV, coffee maker. In the city center you will find several shops. The Westenhellweg is one of the most popular and visited shopping avenues, you will find a mix of department stores and specialty shops, as well as numerous cafés, restaurants. The Shopping Thier Galerie is located 550 meters from Theater Dortmund. Brands: Armani Jeans, Adidas, Mango, Marc O´Polo, Pandora. Dortmund has easy train access from various cities in Germany. Famous cities nearby: Essen, Düsseldorf, Cologne, Bonn.